Where has National Agents Alliance been? Where are they going next? In 2018 the Alliance will be traveling out into the Pacific in order to experience the incredible isles of Hawaii! The Big Island and Maui are on the agenda for this incredible adventure, and the National Agents Alliance team is really excited about it! Beautiful locale, lush scenery, posh accomodations - This is a trip to top all trips! The perfect opportunity to say 'Aloha' to your 'Ohana', and the team wants you to be able to do just that! So how do you get there? How can you qualify and join us on this once if a lifetime journey? Well, we've got the answers for you right here, direct from National Agents Alliance's President & CEO, Andy Albright - Just watch the video! You can also check out the qualification information and track your progress towards earning this one of a kind trip at http://www.naaleads.com/contests. 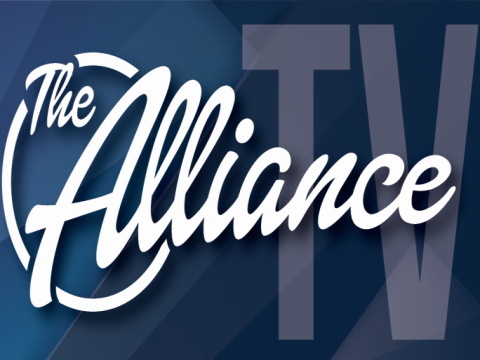 Relive the Journey: The Alliance in Banff! Breathtaking. Epic. Unbelievable. These are just a few of the words used to describe the Alliance team's journey to Banff, Canada. With the Canadian Rockies safely behind us, we can say with certainty that those are great descriptions of this incredible trip! Lake Louise, the Canadian Rockies, the "Castle in the Rockies" - You couldn't ask for better scenery! Special treks out and about in those areas, tours into the culture and local attractions of Banff - You couldn't ask for better excursions! Discussions, team building, and bonding with your fellow Alliance leaders and members - You couldn't ask for better association! This was a phenomenal trip all around, and we're very happy to share with you some of the highlights of what went on when the National Agents Alliance crew journeyed to our neighbor to the north. Check them out in our special recap video, and also see the thoughts of President and CEO, Andy Albright! Be sure to keep up to date on what is coming up at the NAALeads contest page (http://www.naaleads.com/contests), and give it your best to get all in on our upcoming adventures! We want you to join us for our next one! Did you miss any of the previous videos for the 2016 Banff expedition? Check out our travelogue! The Alliance team has traveled northward to Banff, in Alberta, Canada! This incredible journey has the team in awe with unbelievable scenery at every turn, majestic accommodations, and excursions that are exhilarating and taking their breath away. That's right, the National Agents Alliance crew is staying in the Fairmont Banff Springs, known as the "Castle in the Rockies" and enjoying the scenery of Lake Louise, the Banff Hot Springs, and of course the Rocky Mountains! In true National Agents Alliance fashion of having fun, making money, and making a difference, while the team is enjoying every second of their Canadian expedition, they are also putting in the due diligence of learning - Making the most of associating with one another, team building, and spreading the knowledge. One of the Alliance's goals is to get as many people on our trips as possible, and we take every advantage to learn how we can do so, even whilst we play! So what's out there in Banff? What is the team doing? And what is this castle? Check out our travelogue and Banff Playlist to find out! In 2017 the Alliance team is setting sail on one of the most amazing cruises imaginable! We will be traveling for 8 days through multiple countries in the beautiful Mediterranean. That's right, we're hitting Barcelona, Spain. Naples and Florence, Italy. Cannes, France (where you could hop to Monaco also)! Finally, Marseille, France! This means you could see the Coliseum, the Vatican, Monte Carlo, the Leaning Tower of Pisa, Pompeii, and more! All while cruising along in style on the 4000 passenger Norwegian Epic ship. If that wasn't enough, the whole time you'll be able to build relationships and have unparalleled learning from some of the top leaders of the Alliance! Everyone here at the Alliance is extremely excited about this trip! The best part is, qualification is easy...You have got to join us on this trip, so tune in to this video for a small sample of what to expect and to get an explanation of how to qualify from National Agents Alliance's President and CEO, Andy Albright. By the way - Andy's got some details on how you can earn an extension to this amazing cruise also - an extra 2 days in Barcelona. Check out the video for details! Be sure to track your progress towards earning this one of a kind trip and see all other details at NAA Leads and Alliance Eventures. The Alliance team will be setting sail on an incredible journey in June of 2017. We want you to join us on this adventure! It will take time and effort. You'll have to put in all the dials, work the calls, run the appointments, and all that comes with those tasks. But in the end, you'll hit the seas with the team for a wonderful travel opportunity! You may wonder, "Is it worth it?" You'll see the Roman Coliseum. You'll experience Monte Carlo. You'll cruise the Mediterranean, sip espresso on pristine beaches, build lasting relationships with friends new and old. "But is it worth it?" We've put together a tiny taste of what you can expect as Andy and a small team journeyed to plan out the details. Check it out, and see if the National Agents Alliance President and CEO thinks if it was worthwhile! With the Mediterranean behind us and everyone safe at home, the National Agents Alliance team can safely say that the 2015 Greek Isles Cruise was an incredible journey! As we visited these incredible locations - Corfu, Santorini, Mykonos, Olympia, and even Venice - we were able to experience what some may call 'a once in a lifetime' trip with those who are closest to us. Not only are the locations extraordinary, but the relationship and team building are too. Being able to have such experiences with those closest to us is one of the driving forces behind what the Alliance does! Join us in this recap video of the trip to relive some of the wonderful experiences that the team had. And remember that if you weren't able to join us on this trip, we have more coming up and we need you to join us on them! Keep up to date on what is coming up at the NAALeads contest page (http://www.naaleads.com/contests), and give it your best to get all in on our upcoming adventures! We want you to join us for our next one! Did you miss any of the previous action from the 2015 Greek Isles Cruise? Check out our travelogue! Check out all of the cool pictures from the 2015 Greek Isles Cruise at AMPPix! In 2016, National Agents Alliance is heading to Banff and Lake Louise, Canada! You can join us in some of the most breathtaking scenery the Canadian Rockies have to offer by qualifying for this amazing trip and it's extension. But what will you be able to do up in those mountains? Well, we've got some unbelievable excursions available, at three different levels of awesomeness! Shop - An amazing shopping excursion in Banff! Sip - A tour of distilleries in Banff! Explore - The Sunshine Meadows hike! Explore - The Grotto Canyon walk! Soar - The Banff Gondola, hot springs, and cave and basin tour! Explore - Float down the Bow River! Raft - Horseshoe Canyon Whitewater Rafting!! Fish - Learn fly fishing on Lake Minnewanka!! Sip - Downtown Brewery tour (3 breweries)!! Taste - Culinary tour, sampling, and eating!! Bike - Ride up to a picturesque spot, and then hike!! Gallop - Horseback riding further and longer!!! Bike - Sundance canyon bike and hike, extreme!!! Drive - ATV riding with the Alliance!!! Climb - Real rock climbing, on the mountains!!! Relax - Pampering at the finest spa!!! Intrigued? Excited? We are too! Tune in and the Alliance's CEO and President, Andy Albright, will let you know more about these incredible excursions, and the qualifications to be able to choose at the different levels. Need more information on National Agents Alliance's 2016 Banff adventure? Check out the contests page. Also visit our 2016 Discover Banff playlist for more highlights and qualification information! Throughout all of 2013, National Agents Alliance is holding a contest for an incredible all expense paid cruise! We're talking island hopping through the Caribbean with gourmet cuisine, broadway style shows, and association with teammates and leaders of The Alliance on a massive ship (Oasis of the Seas). You can qualify up to six people for this unbelievable trip! How can you qualify? What are the different levels of qualification? National Agents Alliance's CEO, Andy Albright, has all of the details for you in this video! We want to see everyone on this cruise, so get out there and get qualified! Hear the details from Doug Murphy about the upcoming incentives from Baltimore Life Products. 20 iPads! That should get people moving! National Agents Allinace 6 Contests with CFG! Unveiled at the recent Leadership Conference, CFG is partnering with NAA to bring agents across America a six part contest. Designed to make everyone a winner, CFG is offering amazing jewelry, rolex watches, lead cash, recruiting cash, three nights paid stay at the 2012 National convention, and more! Go to naaleads.com/contests to learn more this exciting opportunity.